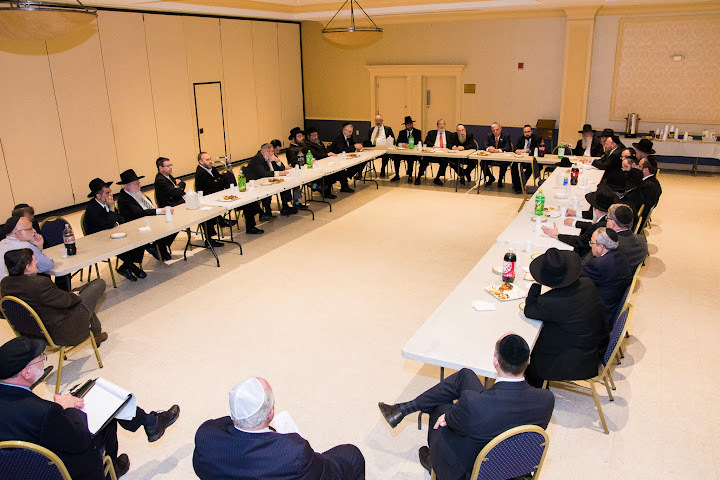 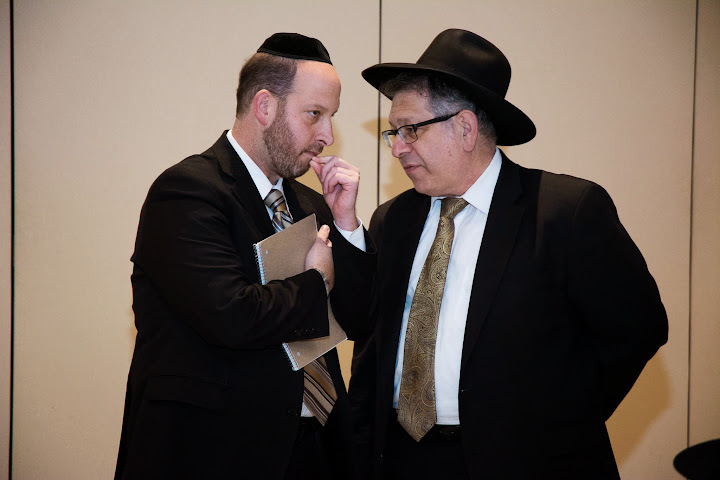 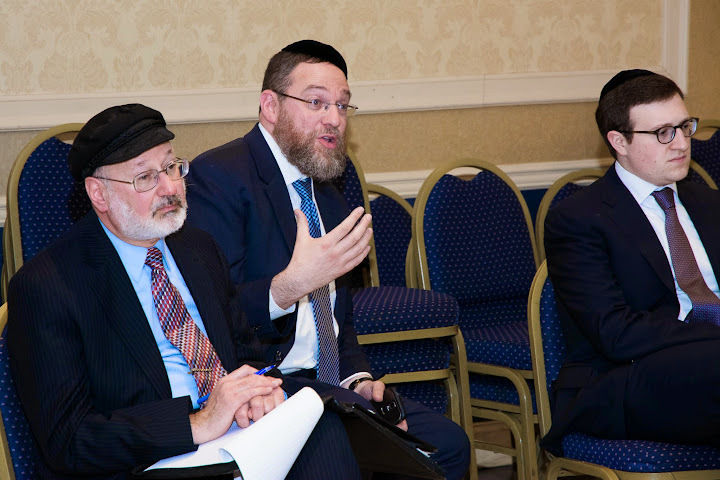 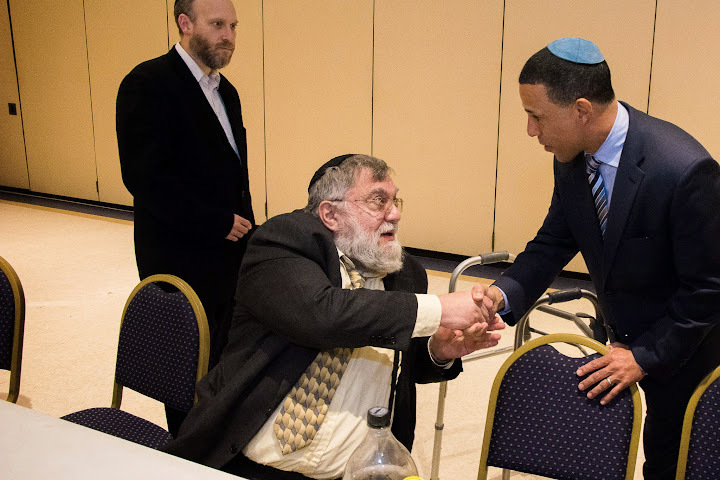 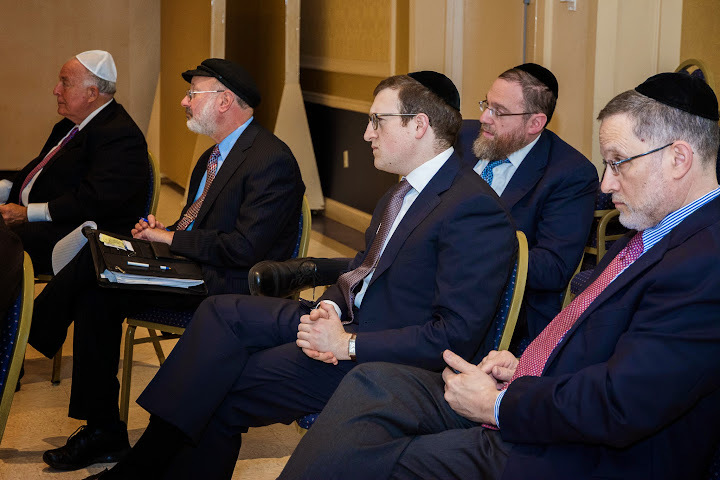 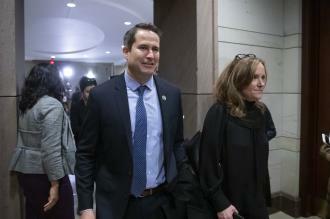 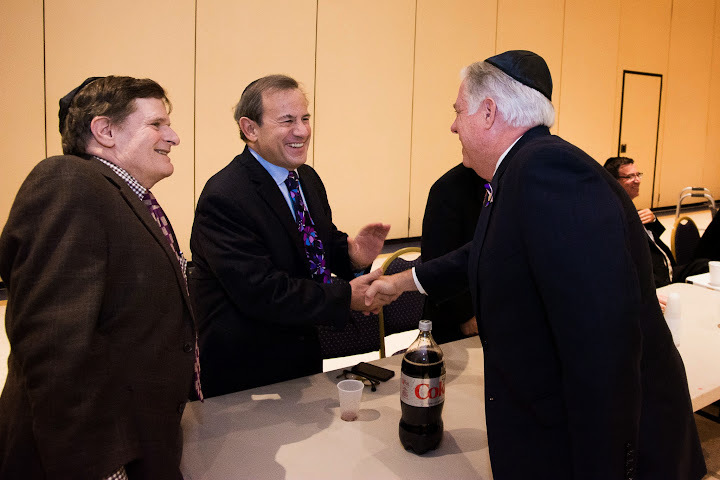 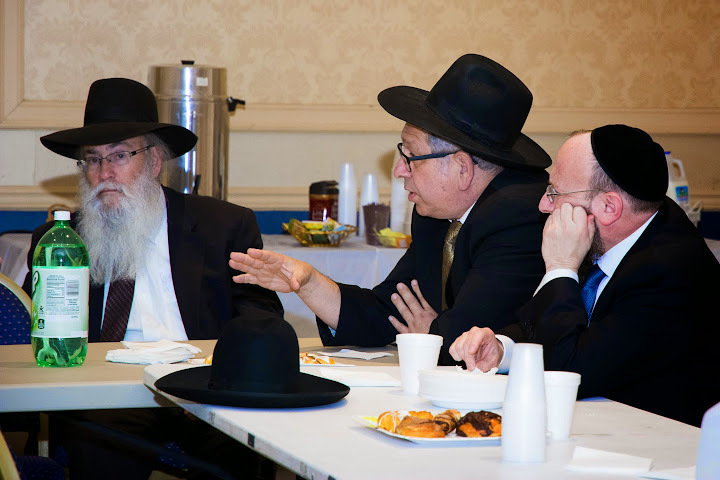 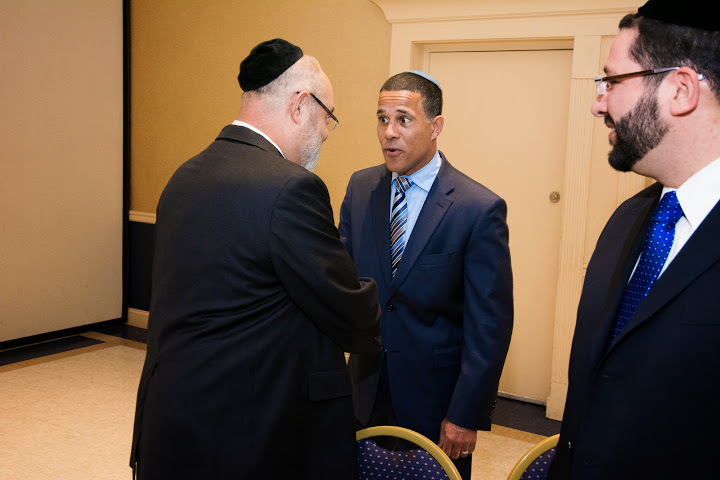 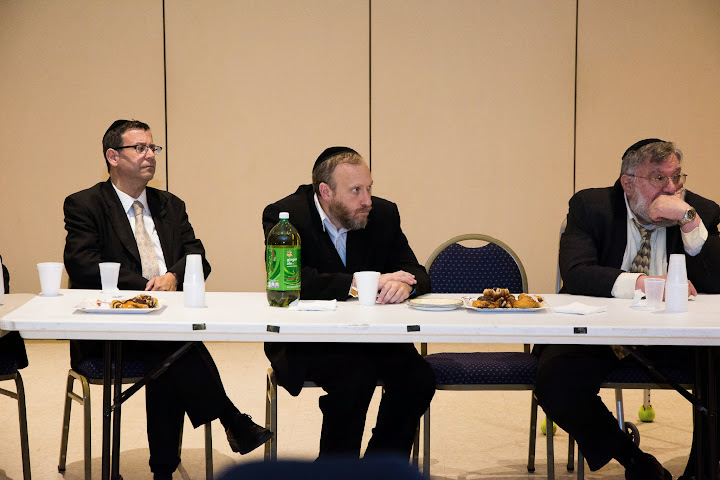 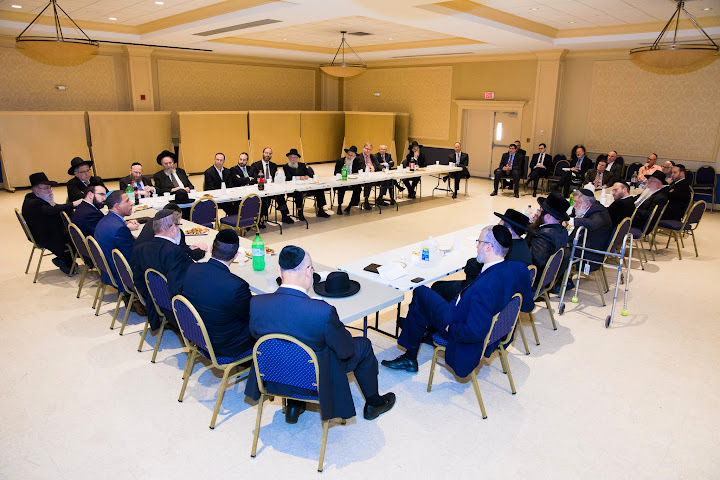 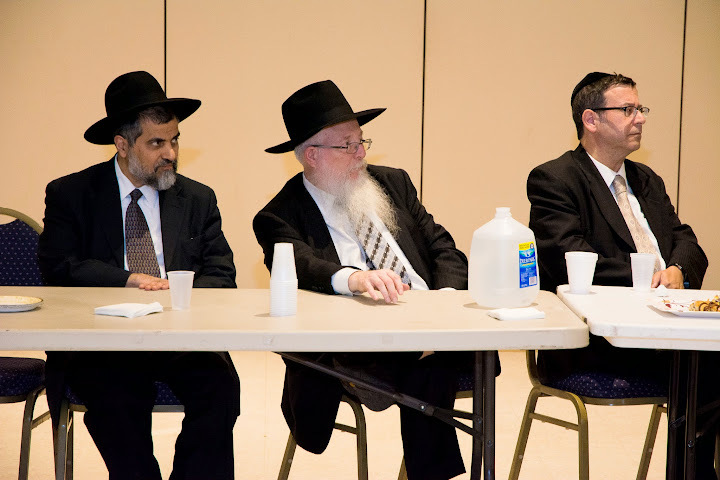 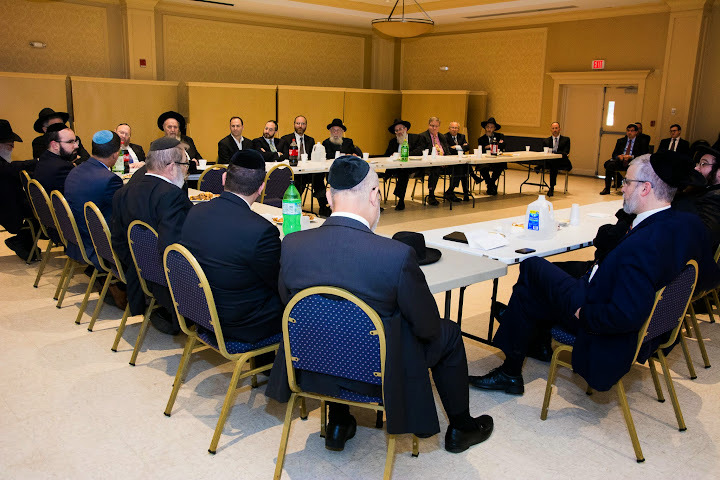 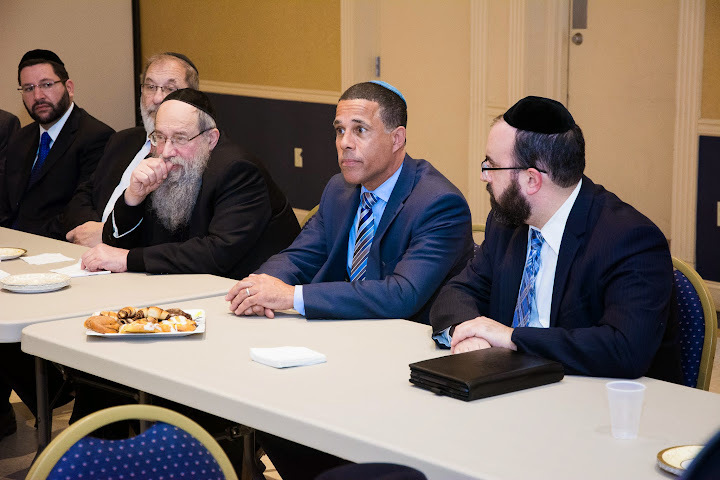 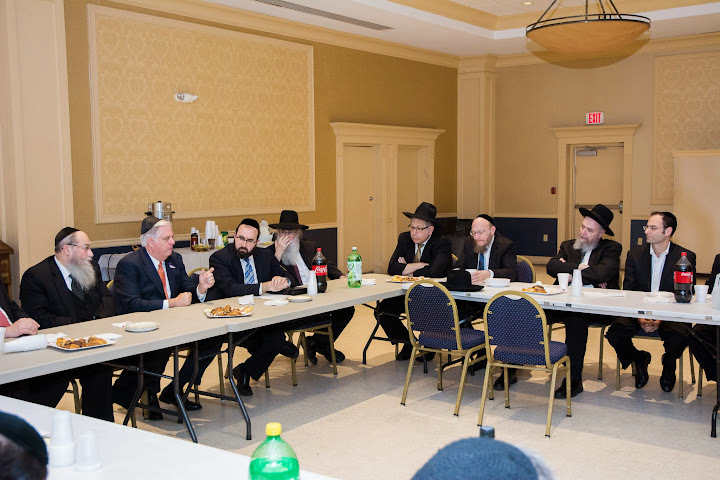 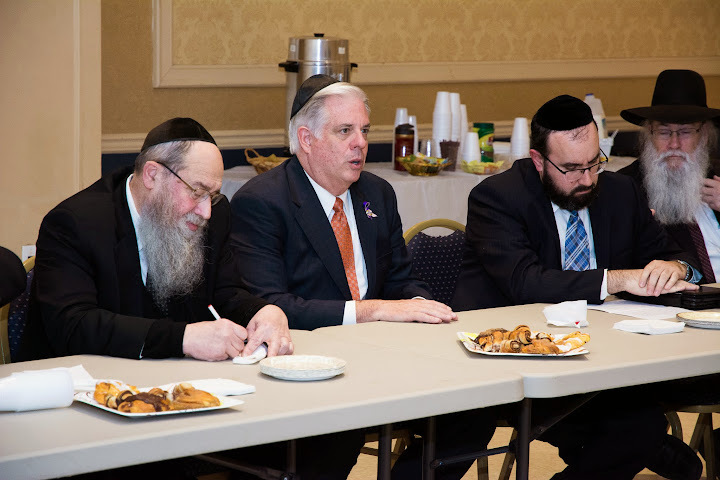 Baltimore, MD - Oct. 30 - With only a few days left until their long-awaited election, the two hopefuls for Maryland’s top elected position came to present their case to the Vaad HaRabbanim – Rabbinical Council – of Baltimore. 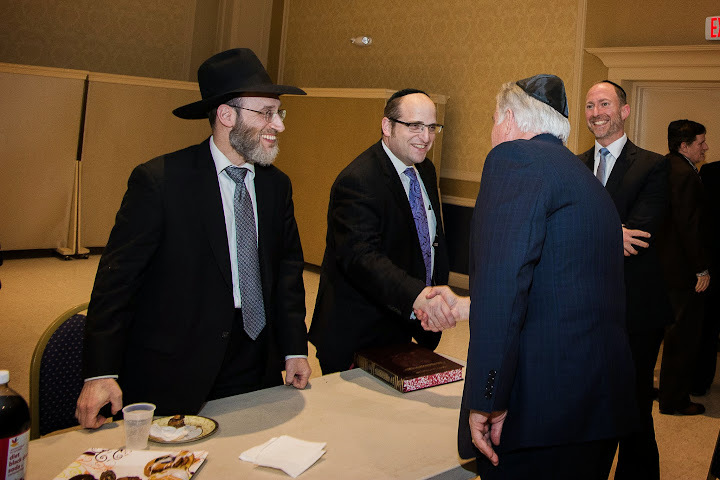 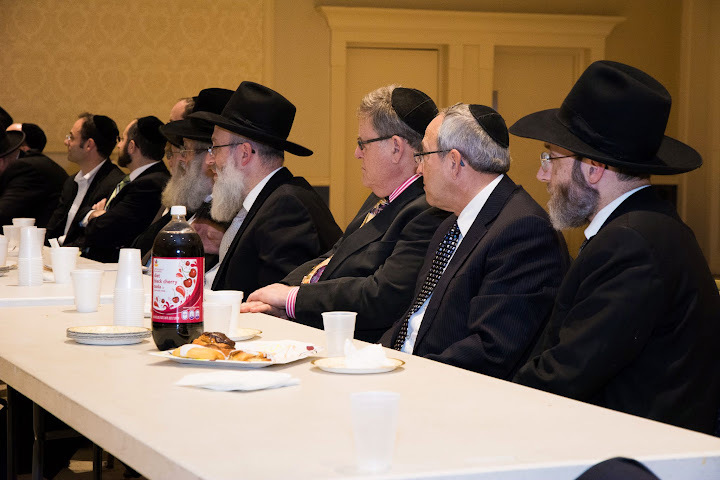 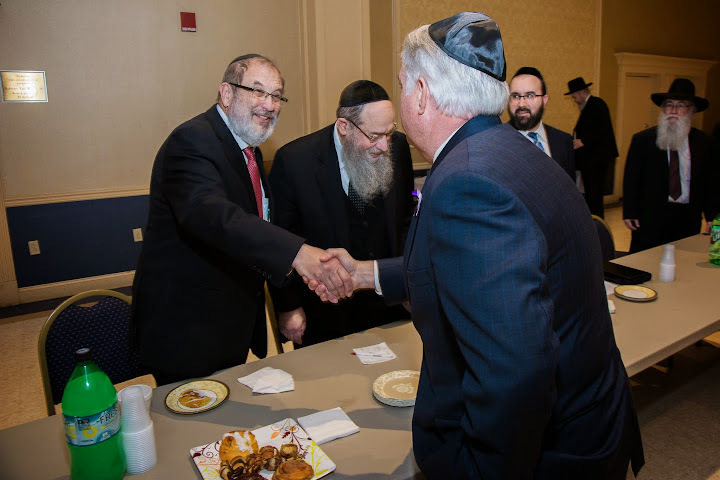 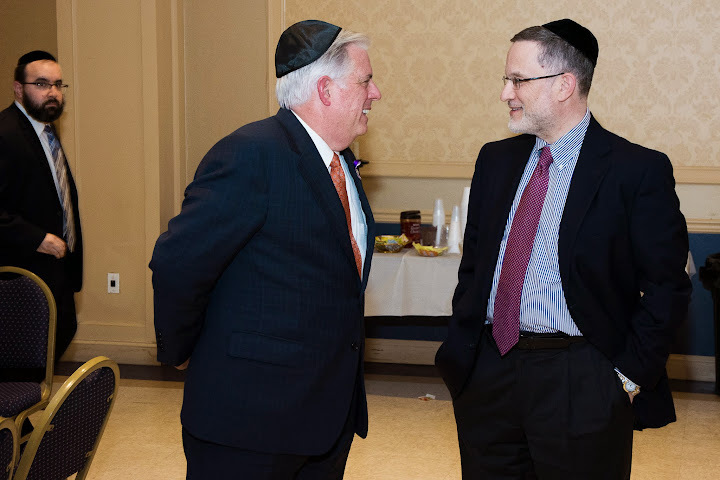 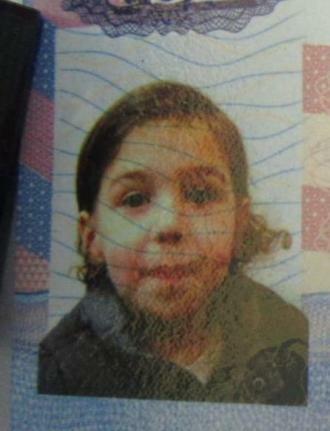 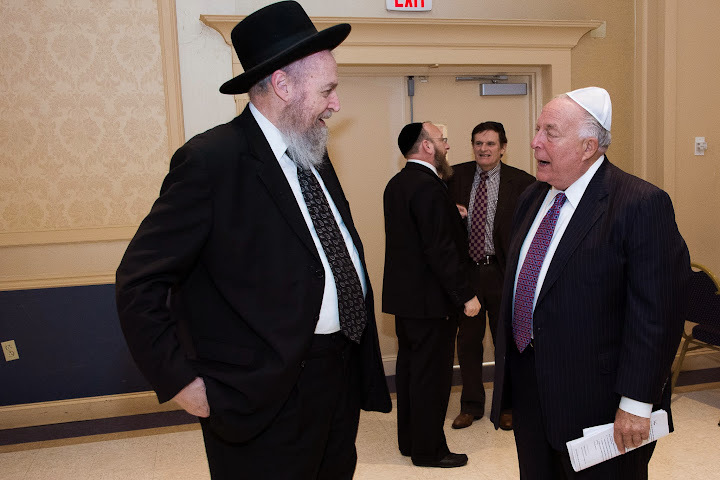 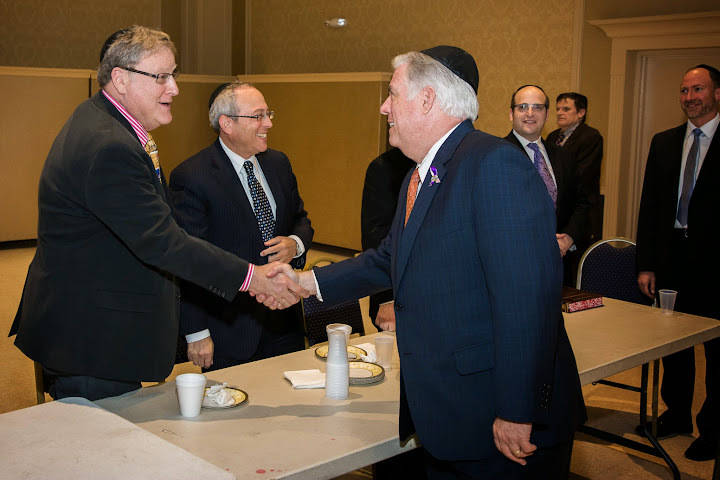 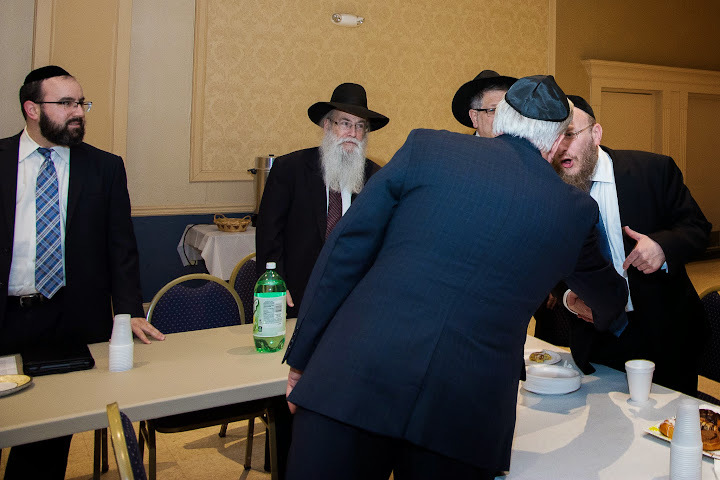 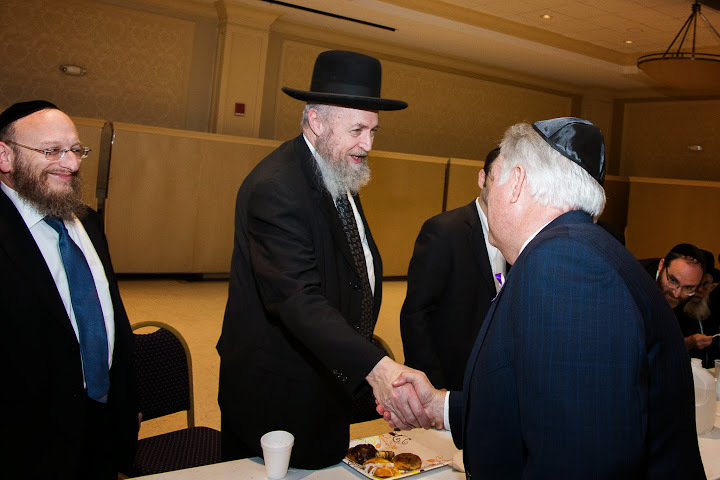 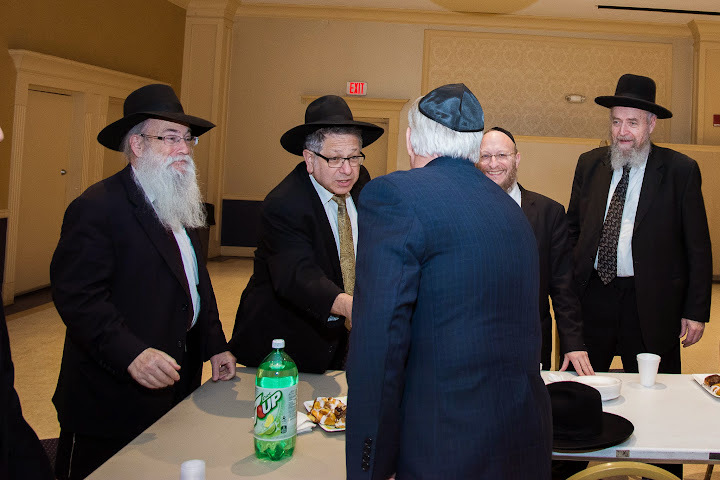 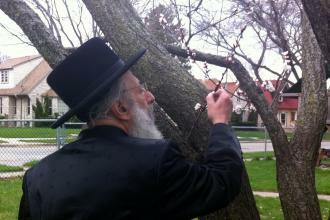 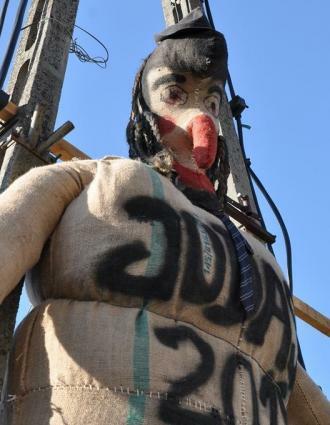 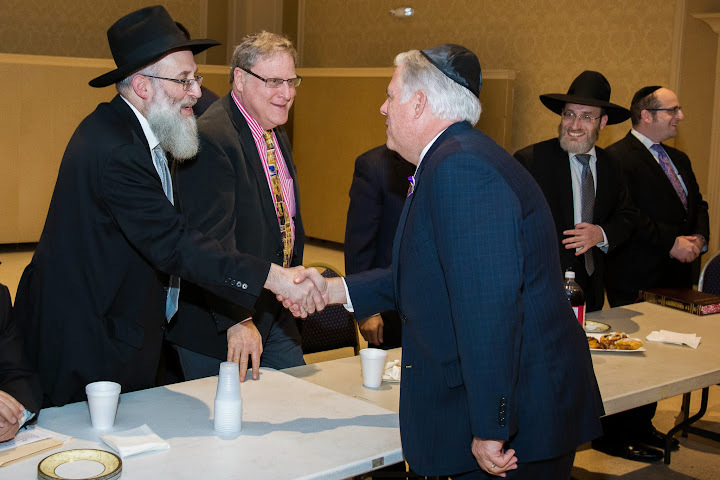 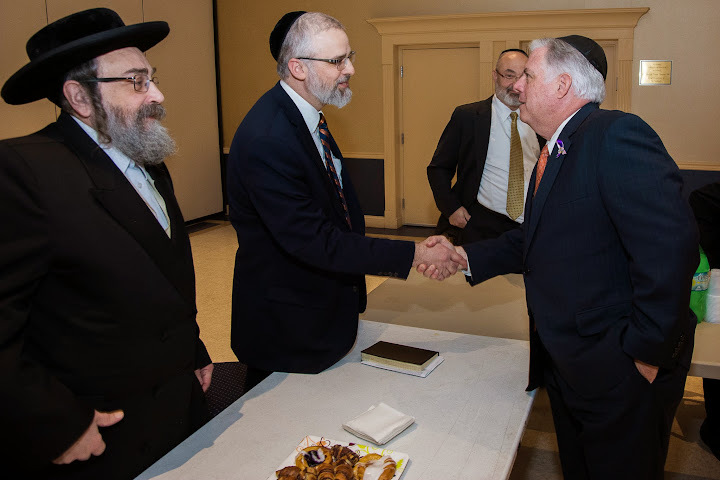 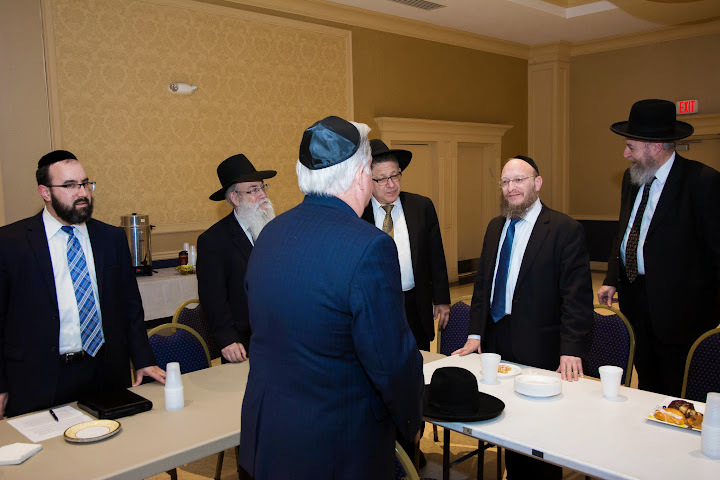 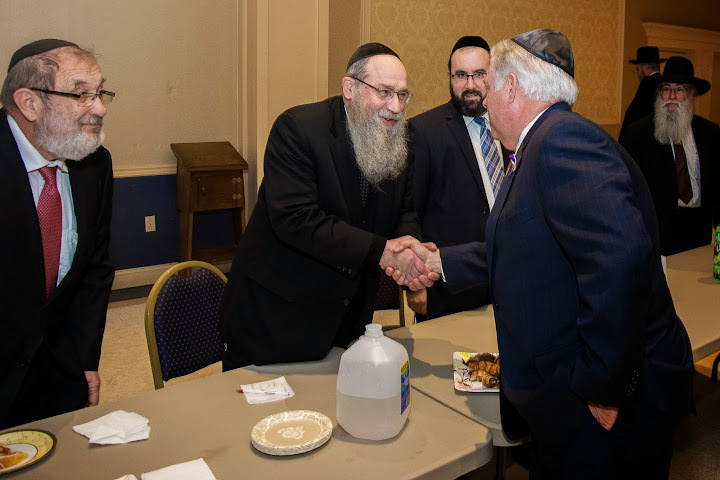 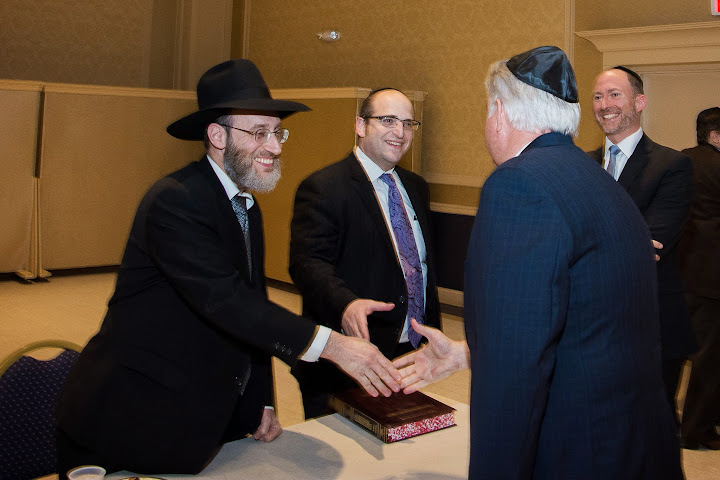 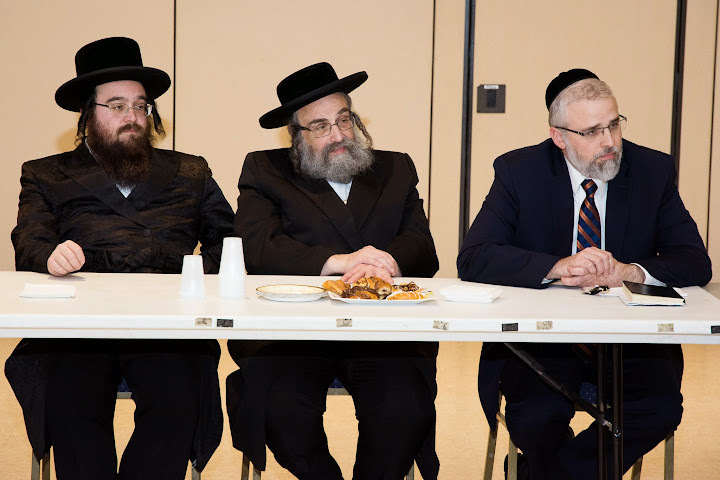 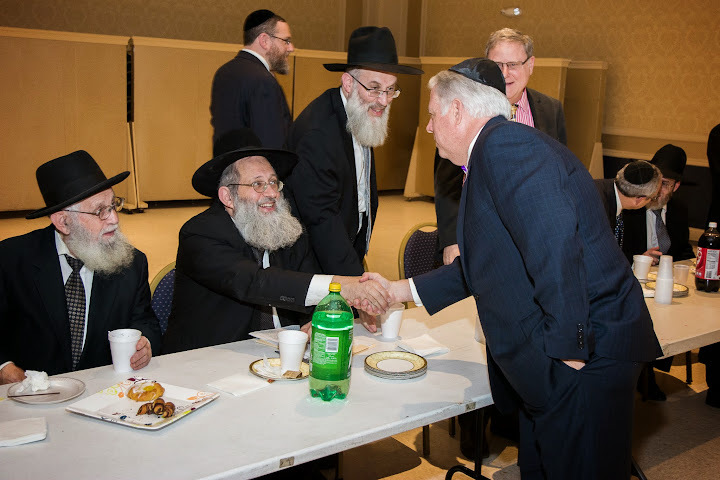 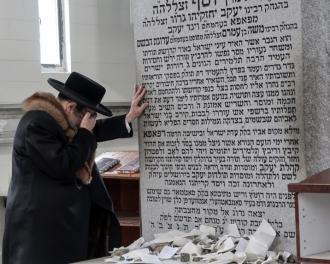 The meeting, coordinated by Agudath Israel of Maryland, gathered the majority of the rabbanim (synagogue rabbis) serving Baltimore’s Orthodox synagogues, as well as a number of synagogue presidents and presidents of local Jewish day schools. 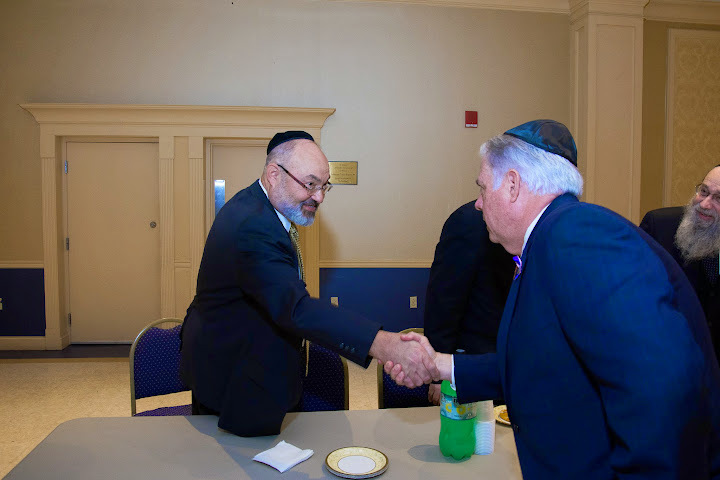 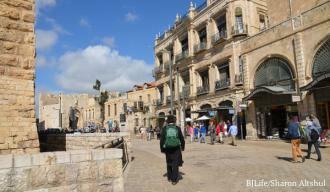 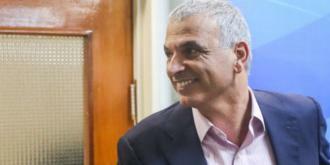 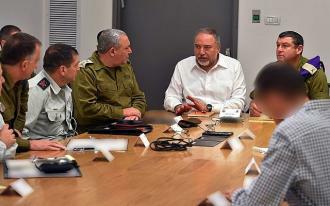 The meeting – which took place on Tuesday at Bnai Jacob Shaarei Zion Congregation – presented both Lt. 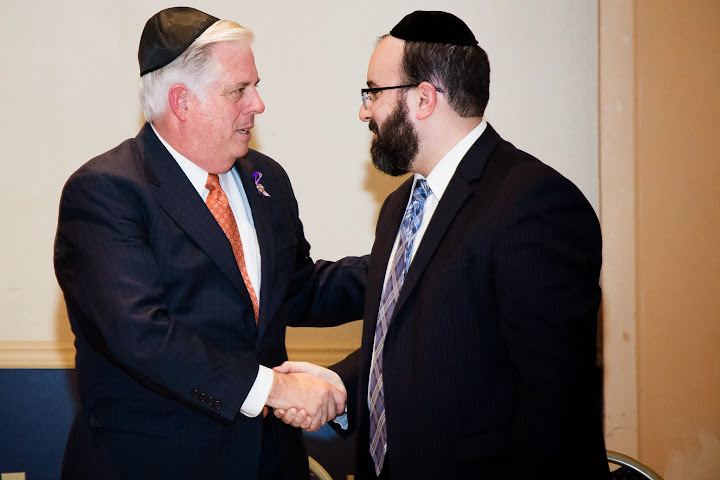 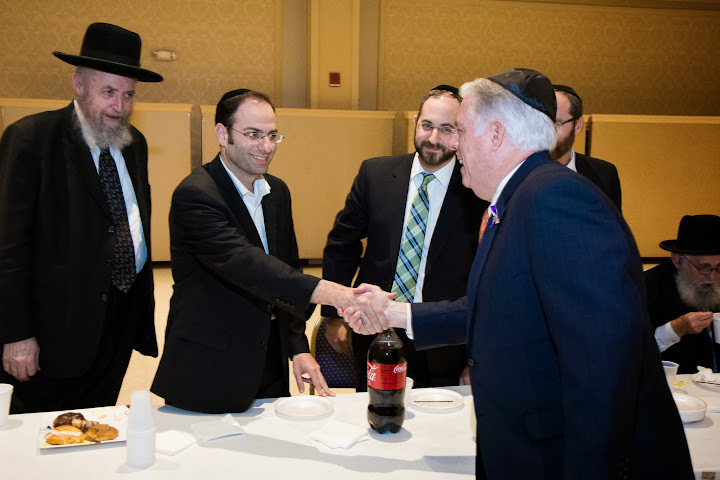 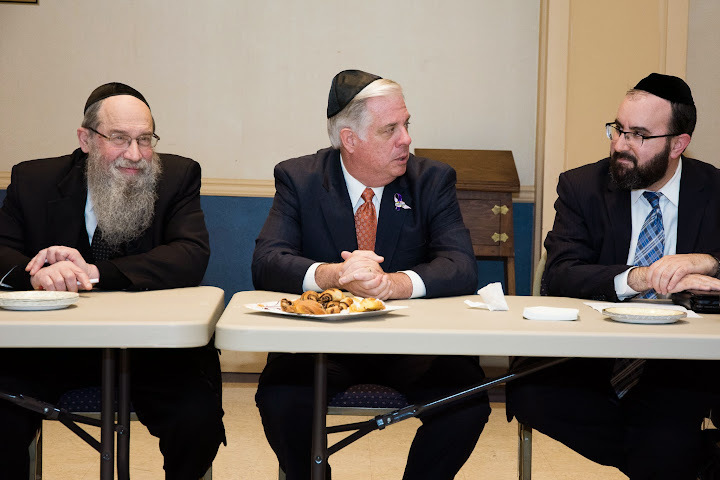 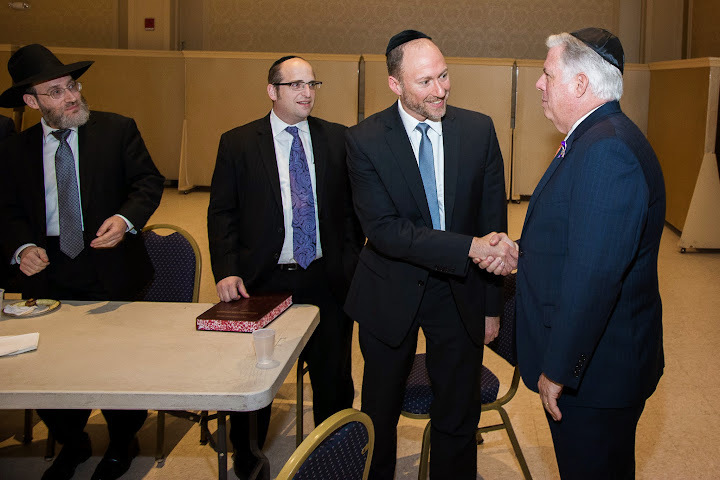 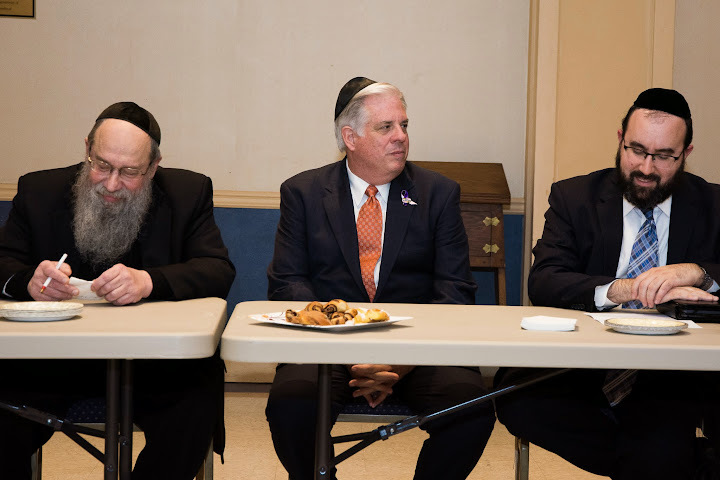 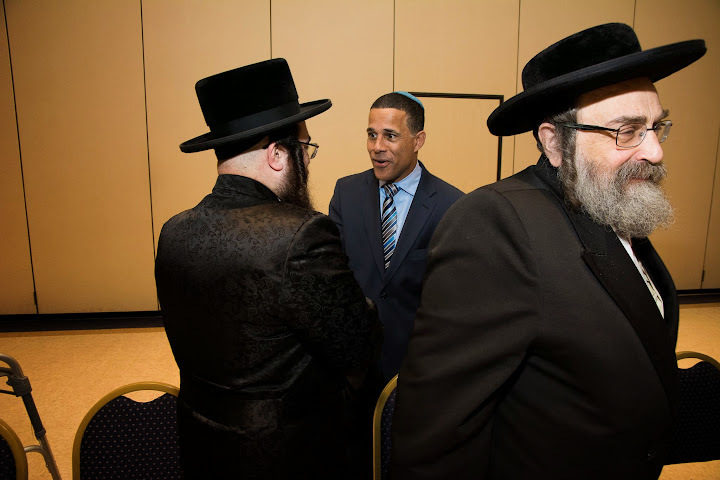 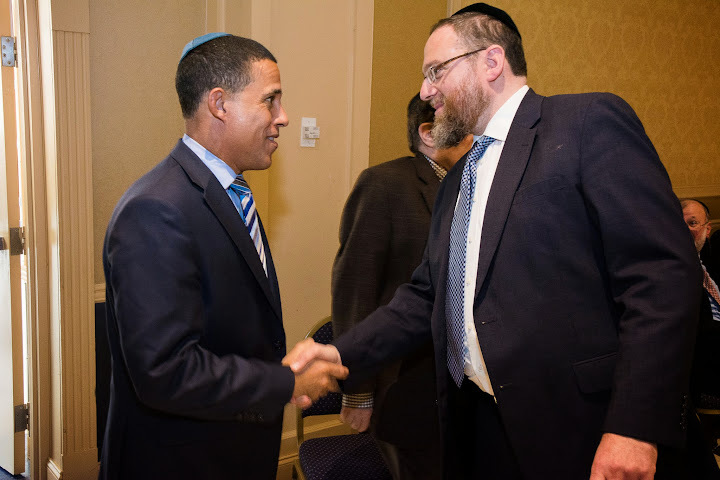 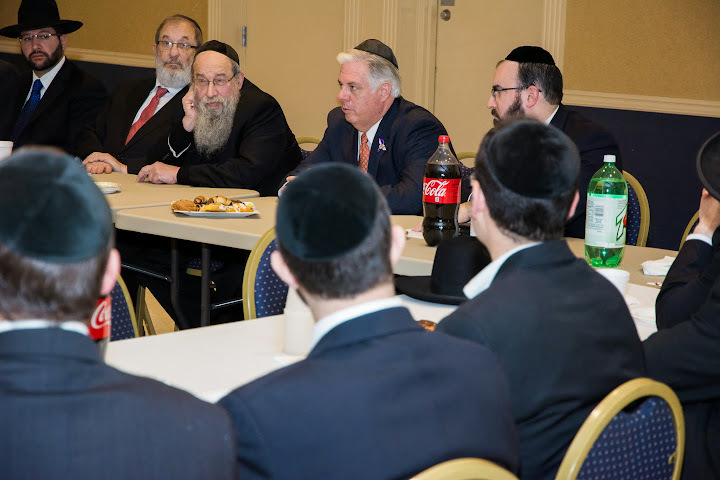 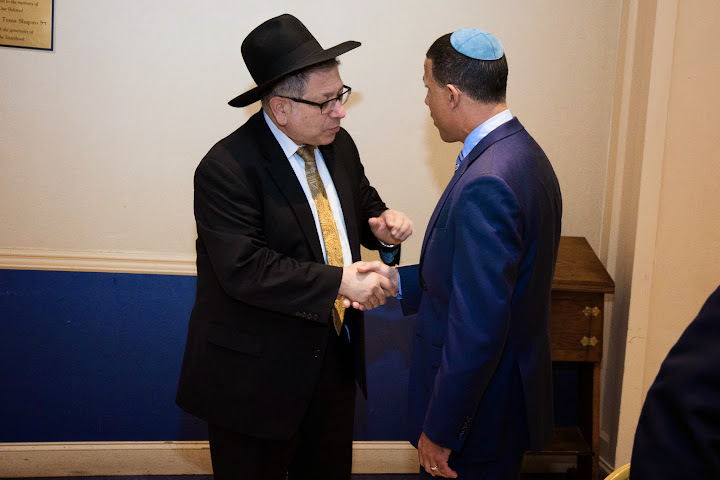 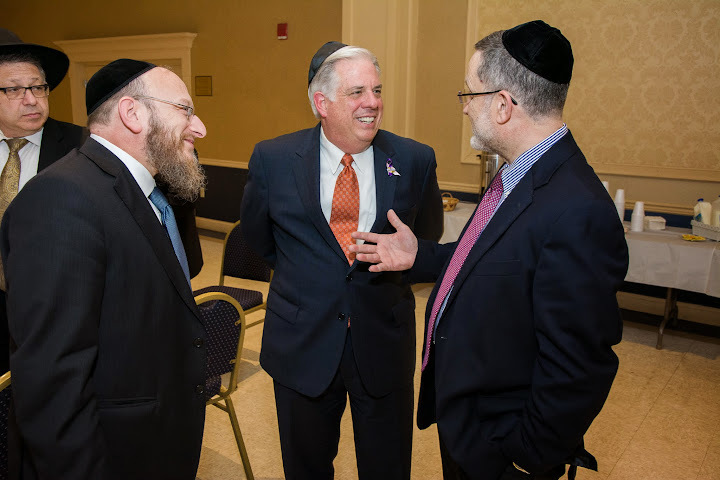 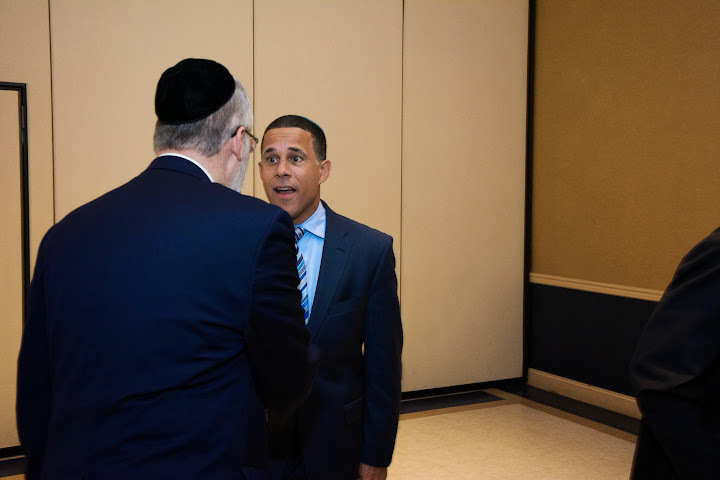 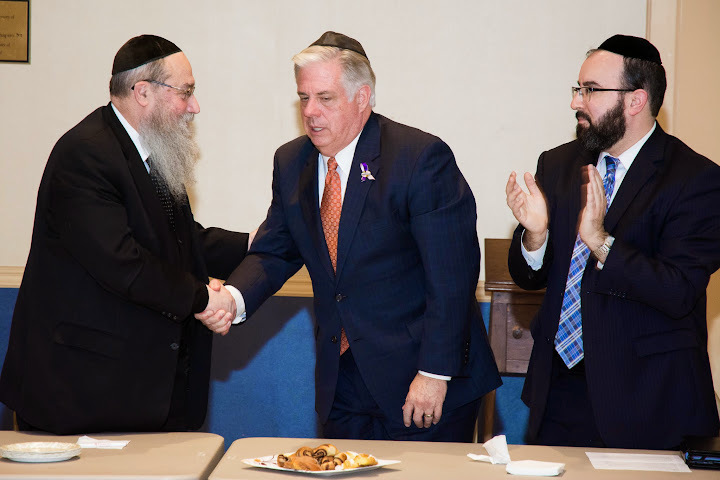 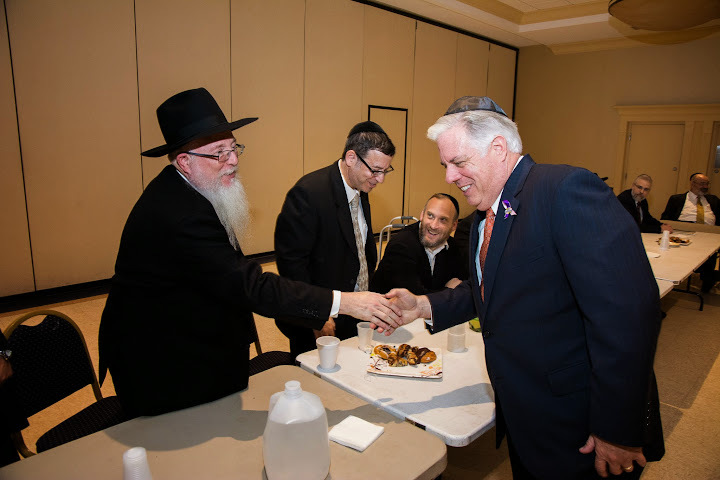 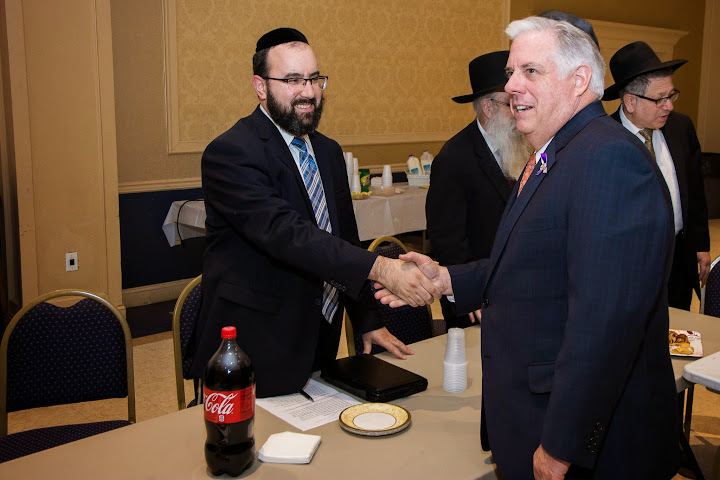 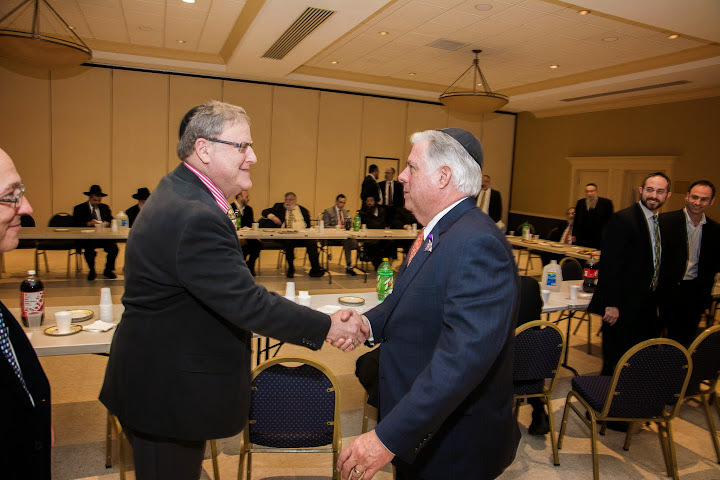 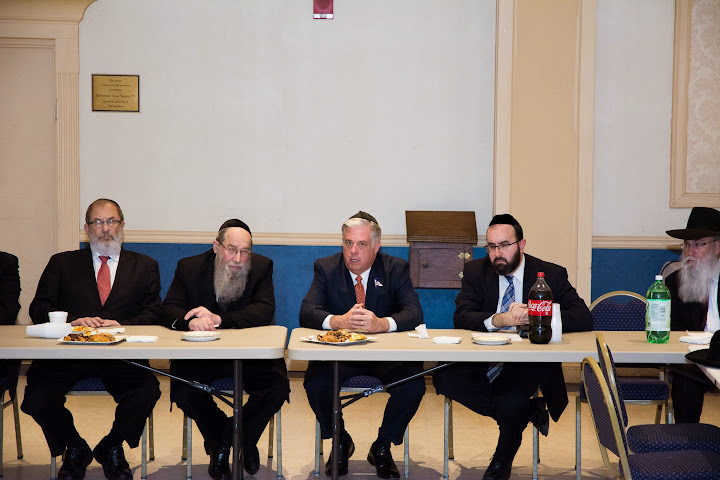 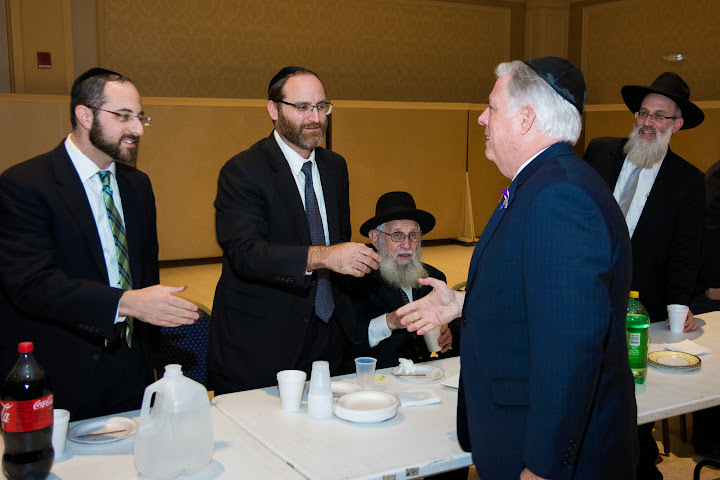 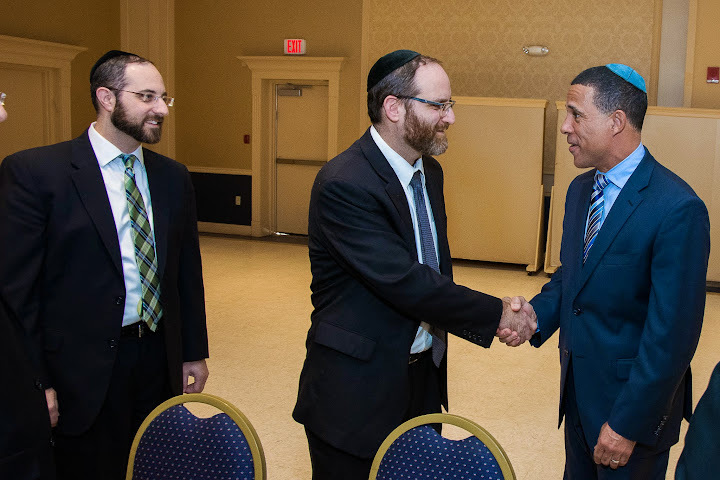 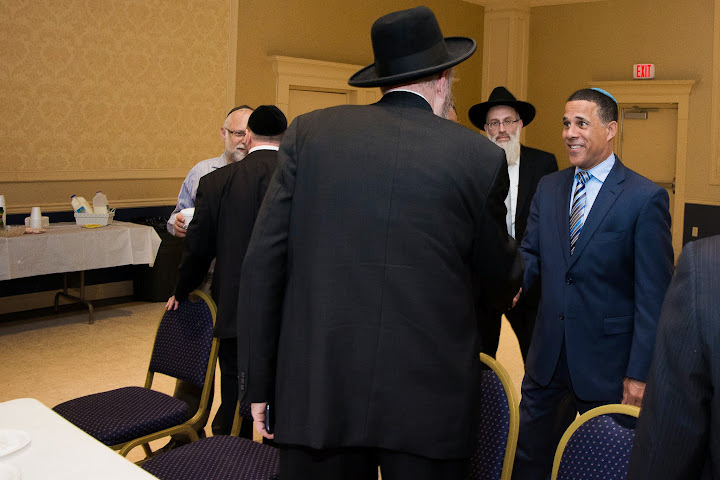 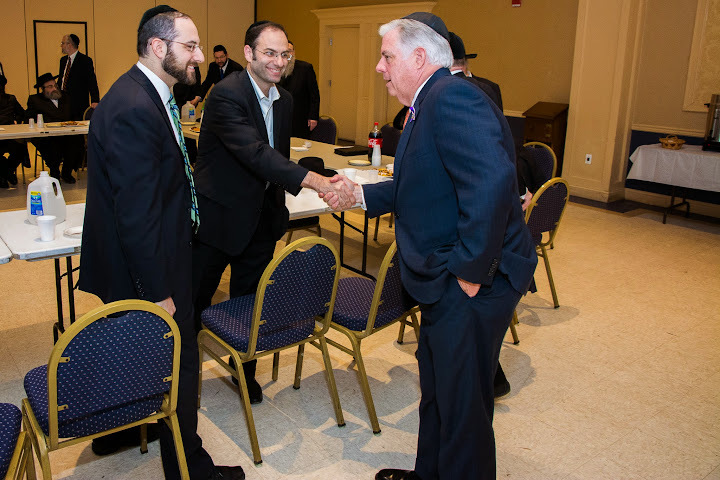 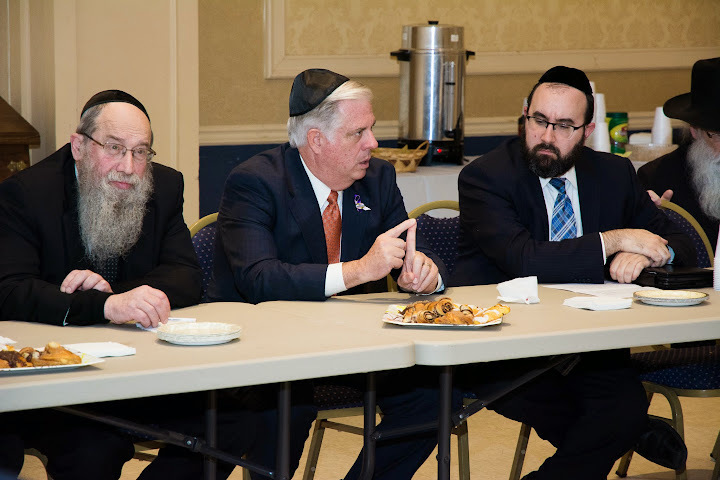 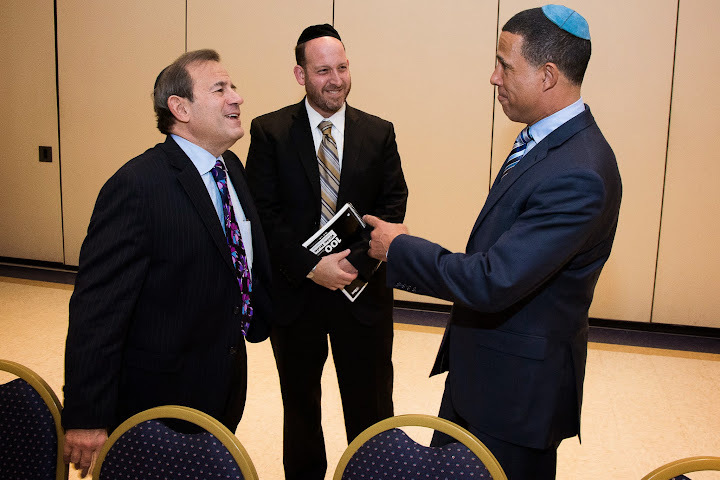 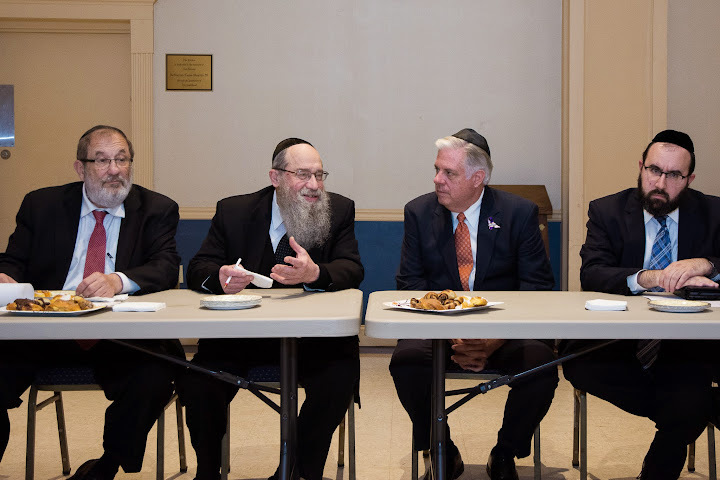 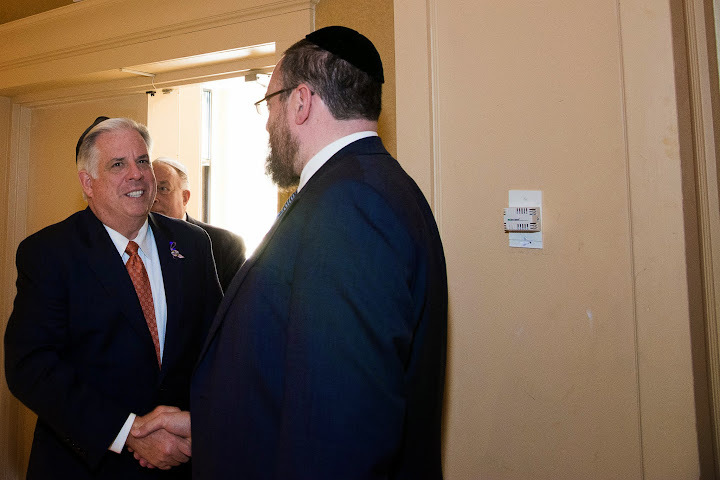 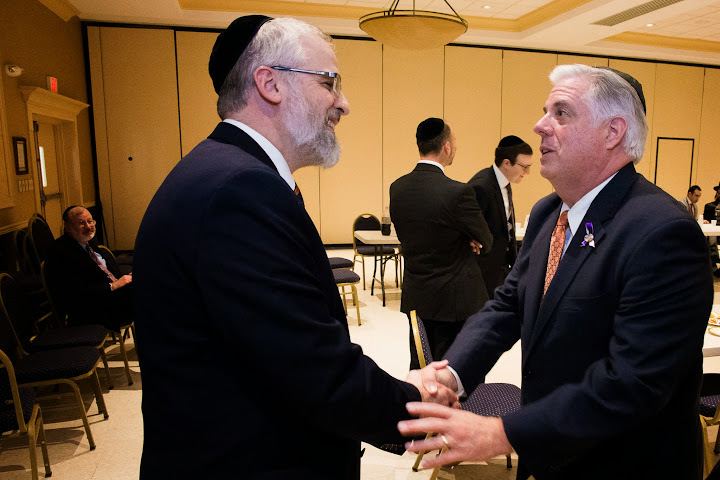 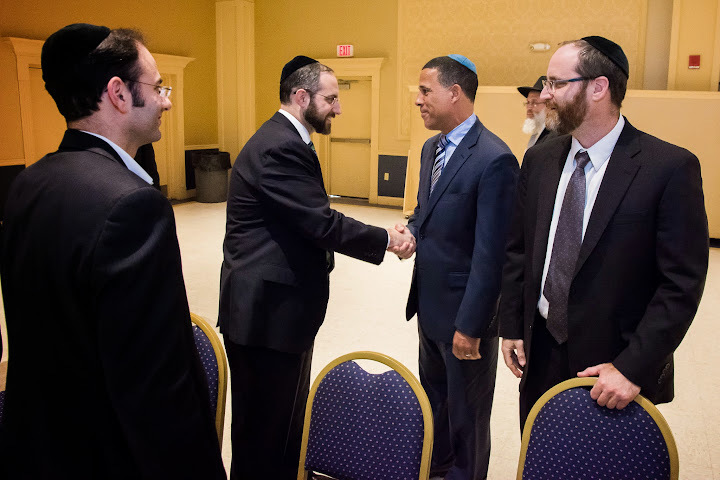 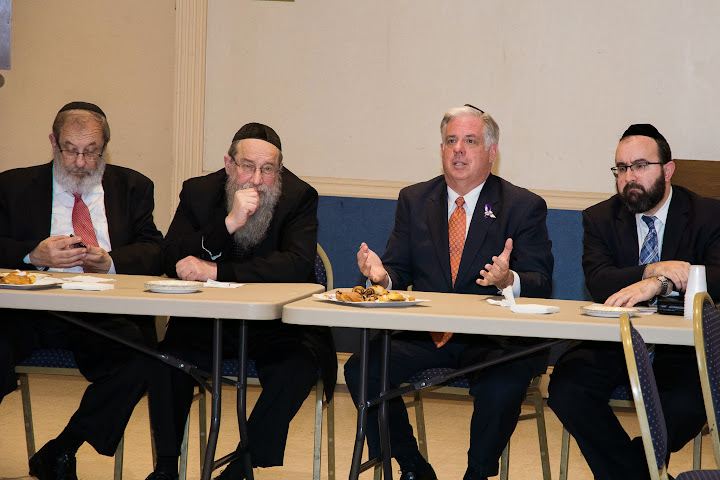 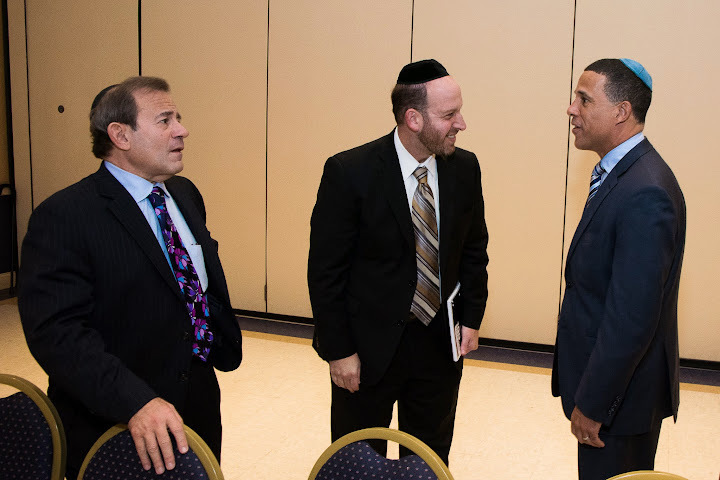 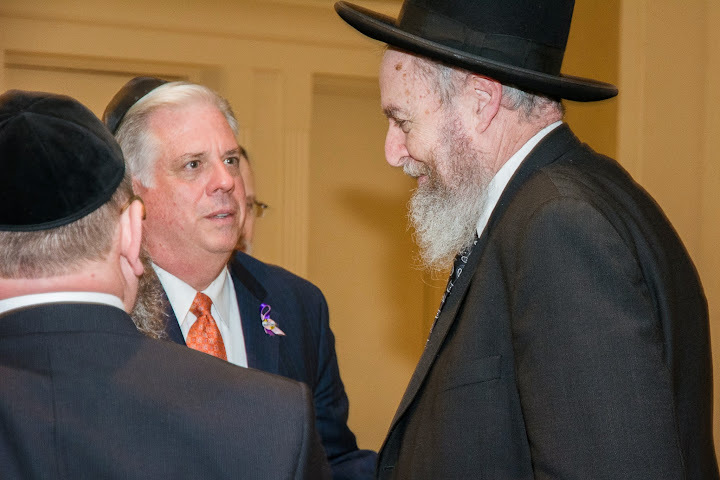 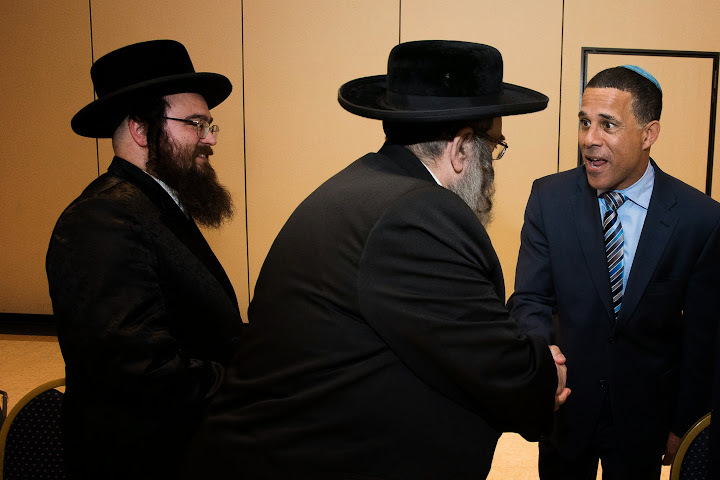 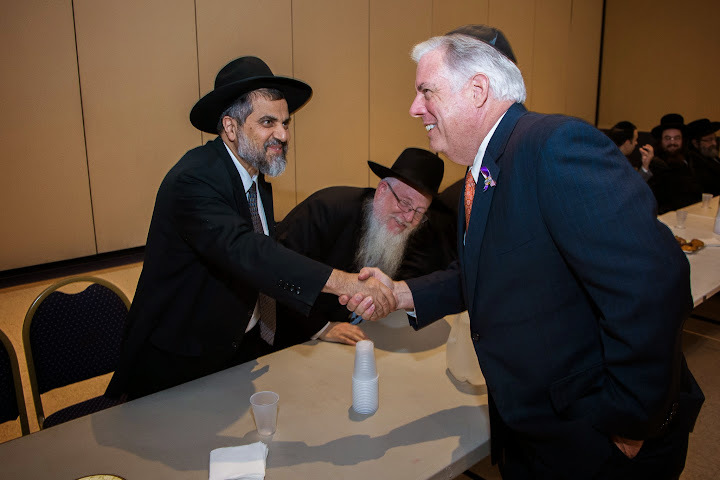 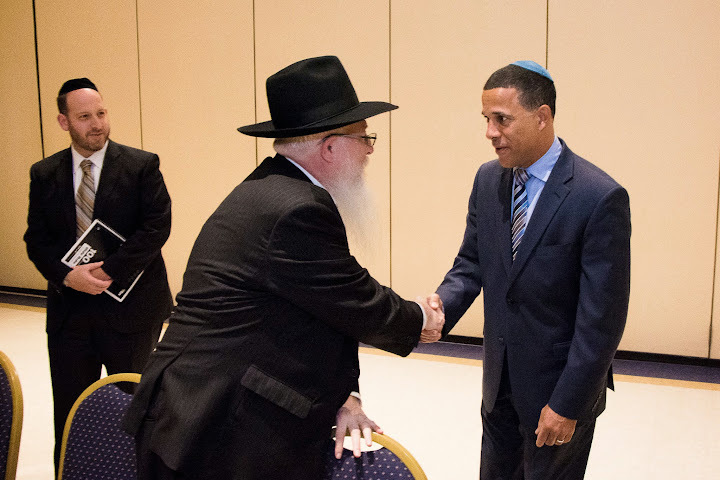 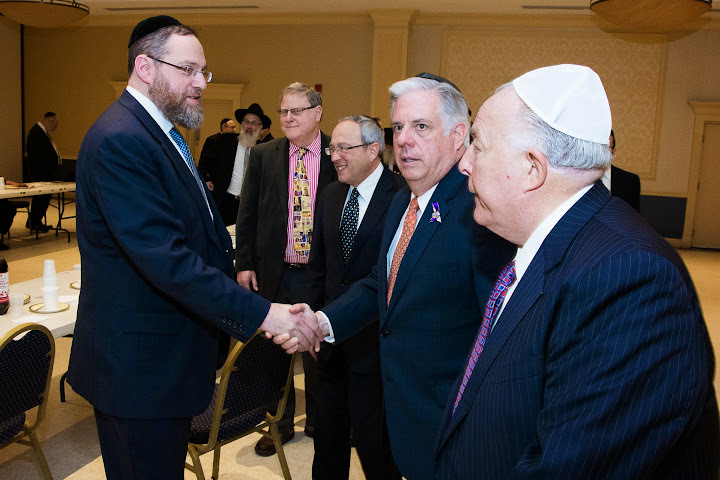 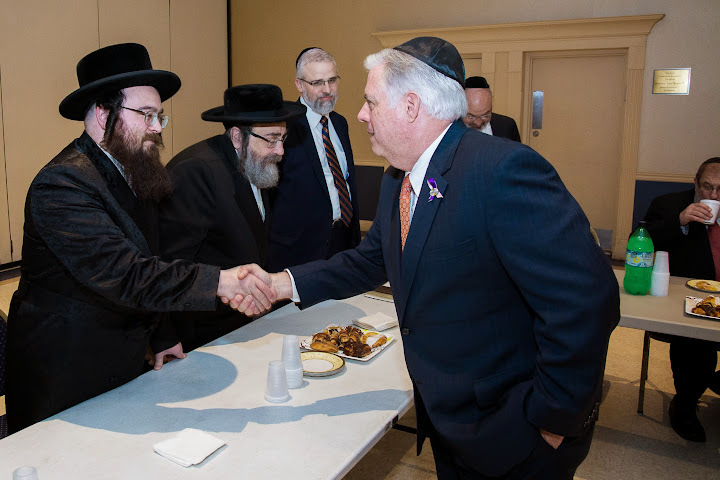 Governor Anthony Brown, the Democratic candidate and Larry Hogan, the Republican candidate, with a can’t-miss opportunity to impress their goals for Maryland’s immediate future upon the rabbinic leaders with the hope of reaching the over three thousand voting households that comprise Baltimore’s Orthodox Jewish community. 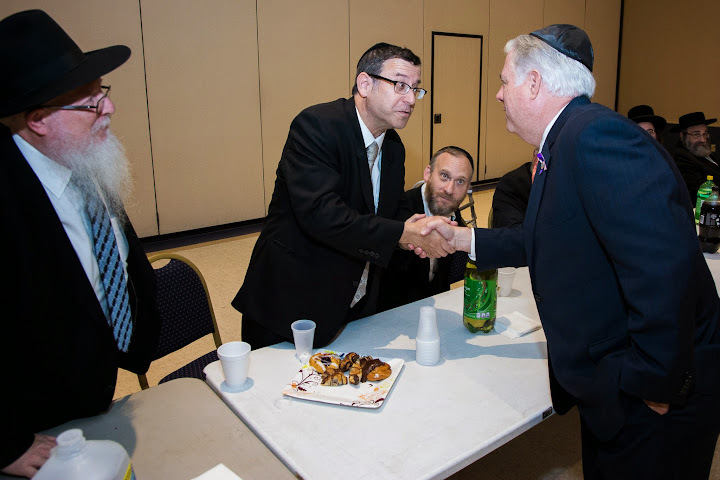 While the conversation was fairly intense, the group was pleased with their interaction with both candidates. 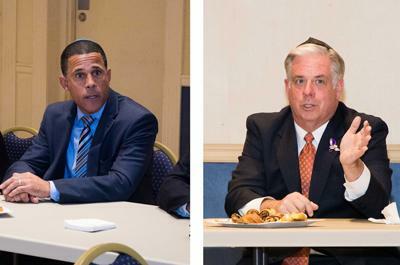 The group met with each candidate separately with Larry Hogan arriving first, followed by Anthony Brown. 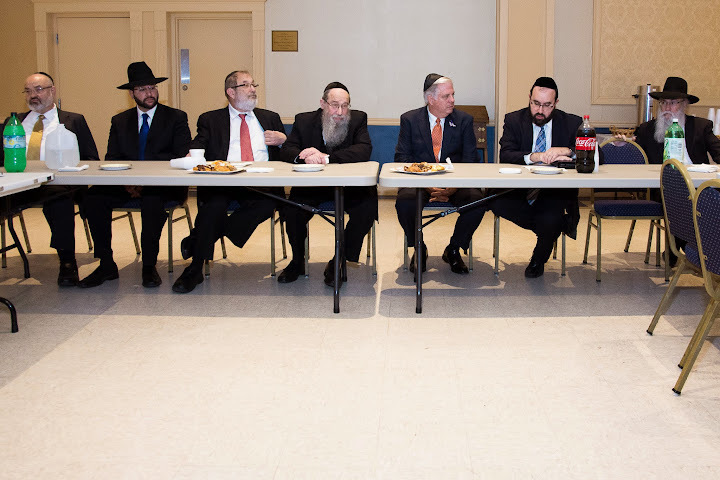 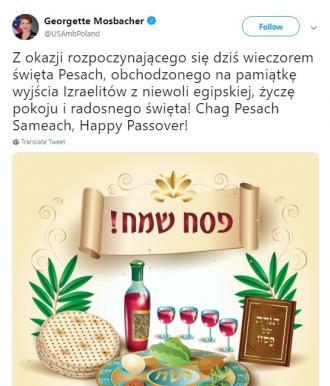 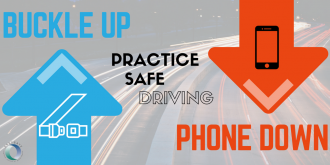 For both candidates the same format was in place. 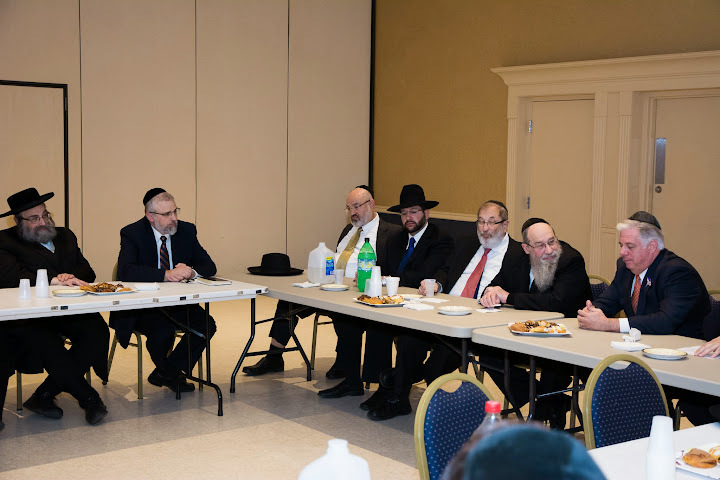 Rabbi Yaakov Hopfer, the president of the Vaad HaRabbanim, opened the meeting by welcoming the gathering and acknowledging the guest. 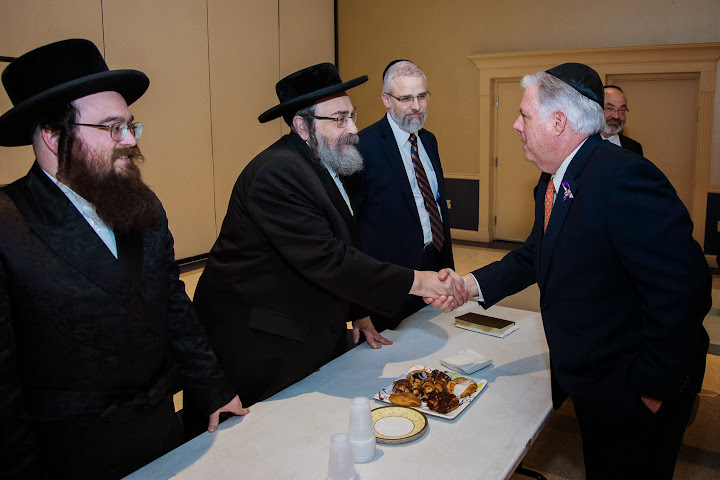 Rabbi Ariel Sadwin of Agudath Israel of Maryland followed by giving a brief bio of the respective candidate and then introducing him to begin his remarks. 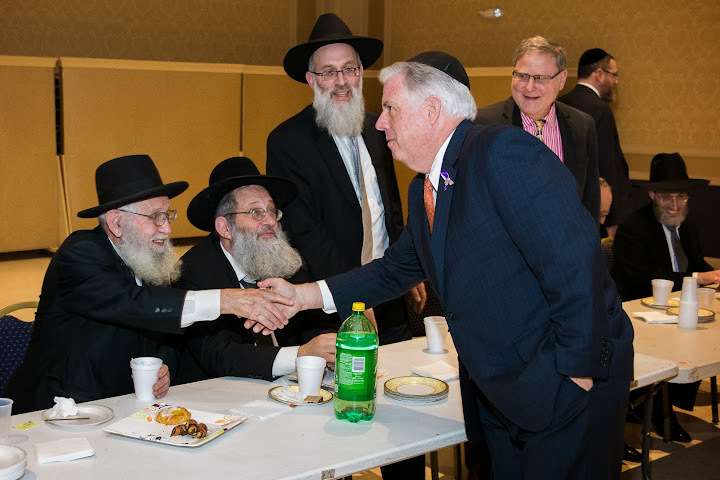 Each candidate spoke about himself and his primary goals if elected to office, and then opened up the floor for questions. 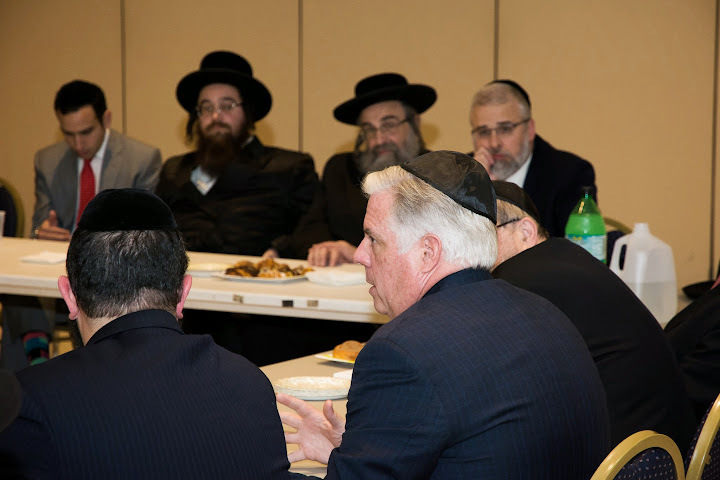 The questions covered a wide range of topics including: day school funding, special education, services for the disabled, safety issues, taxes, and economic development. 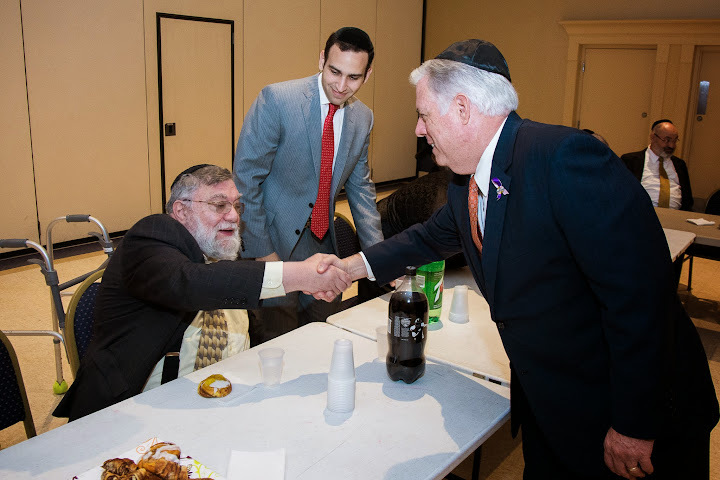 Both candidates expressed a willingness to provide increased support for nonpublic schools – with Lt. 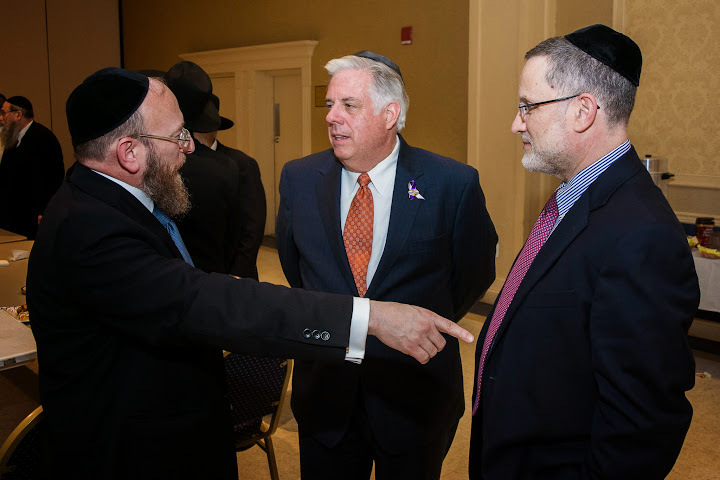 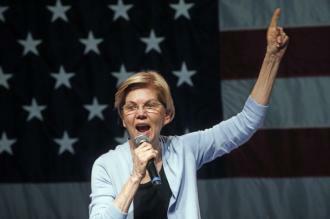 Governor Brown looking to include a nonpublic school scholarship proposal as part of his comprehensive tax relief plan and Mr. Hogan putting increased effort into passing the Maryland Education Credit (formerly known as BOAST) by including it in the Governor’s legislative package.